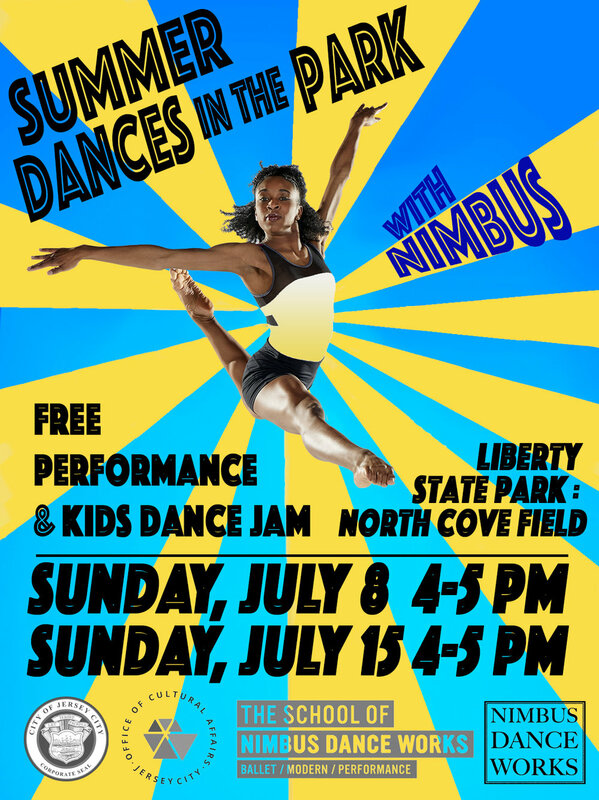 On Sunday, July 8 and Sunday, July 15 from 4-5 pm, Nimbus Dance Works will present FREE family-friendly performances in Jersey City's Liberty State Park at North Clove Field. Following the performance there will be a free dance class for all ages. 2 scholarships to The School of Nimbus will be awarded each day! This Performance is presented in part by the Jersey City Office of Cultural Affairs. Stick around for live music following the Dance Jam!